Along with Deere Isle, this island town in the Penobscot Bay leads Maine in the dollar value of its lobster catch. 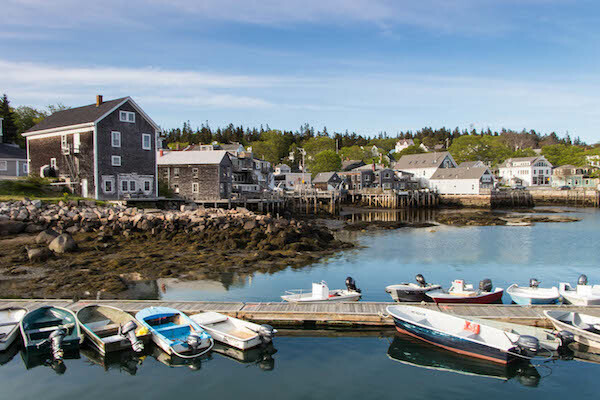 For some pre- or post- lobster exercise, enjoy a lovely run along the coast of Stonington. Start in the center of town at the Public Library, and do a quick jaunt down Atlantic Ave. to Staples Point. Then, just follow the road along the water heading west: W. Main St., Greenhead Rd., and Sand Beach Rd. It’s about 2.5 miles to the turnaround point at Buxton Rd., including a little dip down Causeway Rd. to Moose Island. Good water views much of the way.